In the public cloud parlance, consumers never provision to a specific server, instead they provision to a pool of infrastructure within a geographical region or data center. You would find this pattern in AWS, where you select Availability Zones or in Oracle Cloud, where you select the desired Data Center. EM12c’s private database cloud follows a similar paradigm. It offers a two tier hierarchy in PaaS Infrastructure Zones, and Software Pools. Zone is a logical grouping of cloud infrastructure resources (like servers, network, storage, etc) based on QOS, functional, departmental or geographic boundaries. For example, Finance Zone, East Coast Zone, etc. Cloud users or consumers provision into a Zone. A Zone is also used to enforce access control and chargeback/showback. Okay now that we have covered some theory, lets take an example and walk through it. Our goal to offer a database service that is highly available and redundant across multiple data centers. This image below captures the situation well. 1. We have two data centers – say one on the East Coast and the other on the West Coast. With this information, we could model two Zones based on the location dimension – East Coast Zone and West Coast Zone. As easy as this sounds, i don’t think putting all your hardware resources in a single grouping makes much sense. 2. Its likely that we have servers from different vendors, with different architectures, etc. Assume we own a few Exadata, some commodity servers, some SPARC servers, some VMs, etc. To accommodate this, we can update our model with the hardware dimension – East Coast-Exadata Zone, East Coast-Commodity Zone, East Coast-Sparc Zone, etc. It is important to note, that all of the above dimensions are derived based on my experience with a bunch of customers. You are not required to use all of them, and it always helps to keep things simple. Lets look at pools next. Again, as i said before these are mere suggestions, and it is really up to you to decide which works best for you. The zone name should indicate its composition. In the pool name, i skip the platform part since i am using Exadata and hence i assume Linux automatically. If you are using VMs or commodity hardware you may want to specify the platform as well. So my pools are composed of GI clusters deployed on Exadata compute nodes and the DB Oracle home pre-provisioned. Note a pool can contain multiple clusters. At the time of provisioning, the placement algorithm ensures that the requested database is created on a cluster with least utilized nodes. This is the power of automation provided by EM 12c. In summary, with the EM12c resource model, cloud providers have the ability to organize and manage their infrastructure the way they would like, while keeping the consumer experience simple and intuitive. Latest release of cloud plug-in (part of EM12c R4 Plug-in Update 1) brings the ability to define sizes for database cloud services (Schema and PDB services already support definition of size). Prior to this ability, customers were required to define a new template for each size – small, medium, large, etc. This will help in significantly reducing the number of templates required. So lets see how to use them. ./emcli create_database_size -name=Tiny -description="tiny size"
The 4 attributes supported for size are – cpu, memory, processes, & storage. All attributes are optional, and minimum name and description need to be provided. Had this size been assigned to any service templates, we could have provided the -details flag and gotten that list as well. Since delete is a destructive operation operation, you get the “Are you sure?” prompt. 2. Once sizes are defined, we can see them while creating or editing service templates. Note that by default, no sizes are attached with the service template. The administrator needs to explicitly associate a size with the template, as shown in the screenshot below. 3. Once the association is complete, and the template is saved. Any cloud consumer accessing the template via the cloud portal will see size as an additional input. If you are using REST APIs, then database size will have to be provided as an additional input to the POST request. storage – this is used only for monitoring purposes, and not enforced. So at the time of provisioning we ensure that the storage requirements for the service are within the quota limits of the consumer, but these limits are not set on the database. In summary, the ability to define size as an external entity will help drastically reduce the number of templates required to be defined by the cloud administrators. When implementing Database as a Service (DBaaS) and/or Snap Clone, a common request was for a way to hide the other service types like IaaS, MWaaS, etc from the self service portal for the end users. Before EM12c R4, there was no way to restrict the portal view. Essentially, any user with the EM_SSA_USER role would be directed to the self service portal and would then be able to see all service types supported by EM12c. Of course, you could always set Database as your default self service portal from the ‘My Preferences’ pop up, but this only helps with their post-login experience. The end user still gets to see all the options as shown in screen above. 1. Create a custom role and add the EM_SSA_USER_BASE role to it. 3. Check the ‘Access the Cloud Self Service Portal for Database.’ privilege. Finish the rest of the wizard. Now, when a user with this custom role accesses the self service portal, they can only do so for databases and nothing else. While the EM_SSA_USER role will continue to work, we recommend you start using the new EM_SSA_USER_BASE role. For more details on DBaaS or Snap Clone roles, refer to the cloud admin guide chapter on roles and users. While we spend a lot of time developing GUI for our private cloud features – like the self service portal, setup screens, etc, a large percentage of our customers use these features via our APIs, both EMCLI and REST based. Q: So why would anyone not use the out of the box cloud (self service) portal and use the APIs instead? You want cloud related actions to be part of a larger orchestration flow. For example, prior to provisioning, you want to integrate an approval workflow, and then post-provision update your asset management system with the service details. Integrate actions like cloning of databases (Snap Clone), or provisioning of middleware and applications with your continuous integration or devops process. I am sure there are more reasons, but this list should do for now. Q: What kind of APIs does EM12c expose? Service Providers – This role represents the various administrators like DBAs, sysadmins, storage admins, etc that help setup and manage the private cloud infrastructure. EM12c provides EMCLI verbs and RESTful APIs for all actions that can be performed by this role. Service Consumers – This role represents the users who request and consume cloud based services like databases, VMs, middleware servers, etc. This role can access the cloud services from either the out-of-the-box cloud portal, or using RESTful APIs. This blog post is focused on the the RESTful APIs provided for Service Consumers. The best way to understand and learn about these APIs is to see them in action. In the video below, i explain the various concepts (note i assume that you are already familiar with EM12c DBaaS concepts, if not check the references section), demo the cloud portal, and then perform the same actions using RESTful APIs. The demo is approx. 23 minutes long, so grab a drink before you get started. The Python script used to demo the APIs can be found here. Note: i am posting this script as sample implementation, so there is no formal support available for it. Also, the demo was recorded on the latest version of EM – EM12c R4 Plugin Update 1. Finally, I am often asked about customer examples. Till date, i have seen customers use our REST APIs from Chef recipes, shell scripts using the curl command, from 3rd party tools like Service Now and VMware vCAC, custom Java based applications, etc. Unfortunately, i am not an expert on any of these 3rd party tools, so i probably cannot tell you how the integration was done, but i would be more than happy to help you with the EM REST APIs. 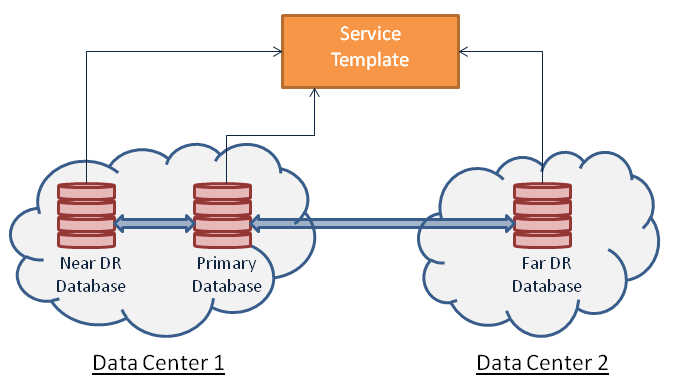 Hopefully this was a good introduction to our EM12c Database as a Service (Private Database Cloud) REST APIs. I encourage you to play with the APIs and post code examples for the benefit of other users.